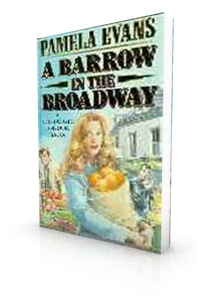 I have published 34 books since my first, A Barrow in the Broadway, came out in 1989. Click on a title in the list below to find out more about each book. 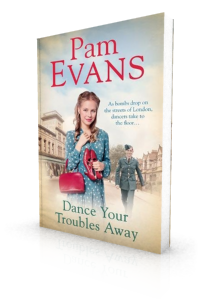 When they're not working in a West London munitions factory, Liz Beck and her best friend Marg find time for fun and laughter at the local ice rink. Then a couple of handsome American servicemen sweep them off their feet and Marg's dream of becoming a GI bride looks like it might come true. 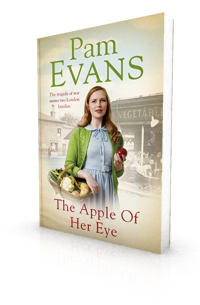 It is February 1945 and April Green and her cousin Heather wonder if the war will ever end. Then the local pub in Chiswick takes a direct hit and April's father is killed in the blast. Life without him is hard to bear and April and her brother do all they can to help, particularly when their mother announces she is pregnant. 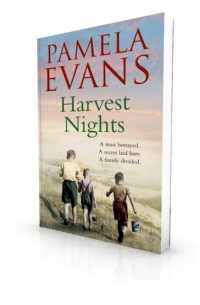 Volunteering to tend her father's allotment, April discovers a passion for growing vegetables. In the middle of a party to celebrate the Silver Jubilee of King George V in 1935, Mollie Fisher's good-for-nothing husband walks out on his wife and baby girl. Luckily, Mollie has a loving family to turn to for help. Mollie's mother, Marge, is delighted to look after baby Esme while Mollie goes out to work. Meanwhile, her nan, Nora, encourages Mollie to join a local keep fit class, which opens her eyes to a whole new world. 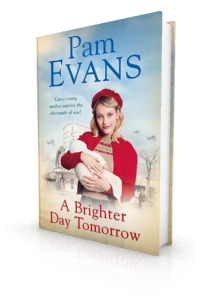 It is 1936 and, having endured the worst of the Depression, May Stubbs and her family hope for a brighter future. Finding a derelict cricket pavillion near their home in West London they convert it into a bustling cafe. Then May contracts the dreaded tuberculosis and she is sent away to the country to recover. 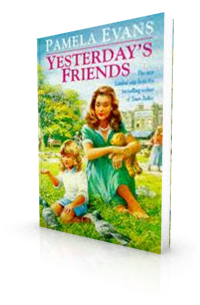 Being separated from her best friend, Betty Lane, and her childhood sweetheart, George Bailey, is hard for May but she makes new friends who encourage her to fight off her illness. 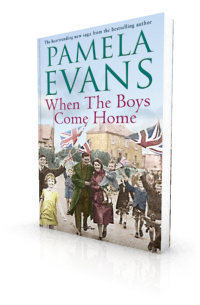 It is only on her return home that the enormity of what has happened while she's been away hits her. 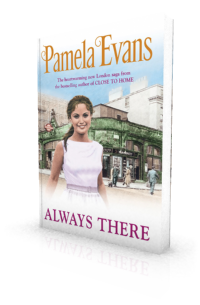 There are times when May's happiness seems nothing but a distant dream and when war breaks out she must learn to forgive and forget in order to survive the heartache that lies in store. 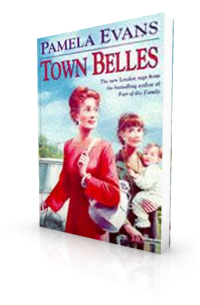 For typist Sadie Bell, the 1960s promise a decade of mini-skirts, pop music and endless possibilities. Young and carefree, she lives happily with her parents and older brothers in Hammersmith. 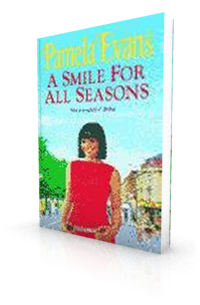 When Sadie meets Paul Winston at a Cliff Richard concert, it marks the beginning of a new chapter in her life. Falling head over heels in love, the couple can't wait to be married and move in to Paul's parents' home in a beautiful Surrey village until they can afford a place of their own. Despite the disapproval of her mother-in-law, Sadie is deeply happy with her new husband. But Paul and Sadie's joy is tragically short-lived and Sadie returns to London alone and pregnant. 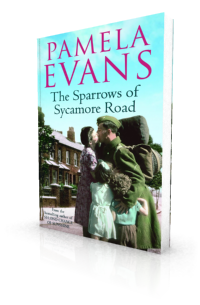 A heartrending London wartime saga from much-loved author Pamela Evans.For the Porters and the Mills, family and friendship are the glue that binds everything together. 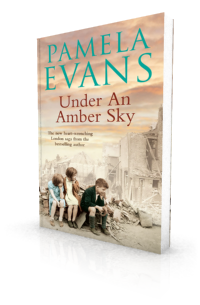 So when the Porters' home is destroyed in the Blitz and only seventeen-year-old Nell and her little sister Pansy survive, all their lives are shattered. 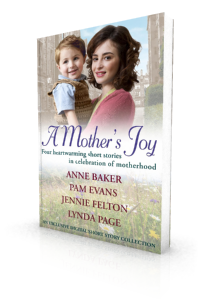 Peg Mills is determined to look after her best friend's daughters. 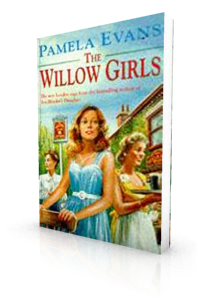 And, in time, the girls begin to thrive - Pansy, evacuated to the countryside and Peg's loving mother, and Nell in her new job at the local newspaper. But trouble is on its way. 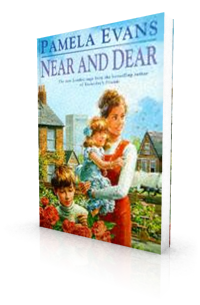 Nell discovers her handsome suitor Gus Granger is hiding a dangerous secret. 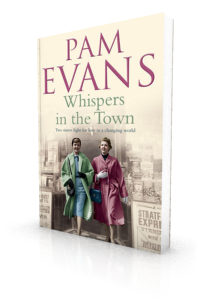 And, just when she needs him the most, her closest confidant Ed Mills is declared missing in action. 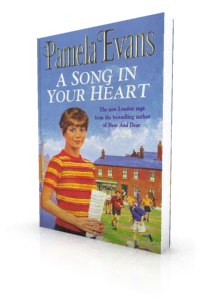 Nell suddenly realises that Ed means much more to her than just a friend. But will she ever see him again to tell him her true feelings? When Jess Mollitt gains a place with the famous Burton Girls dance troupe, appearing on the West End stage, it seems her dreams have finally come true. 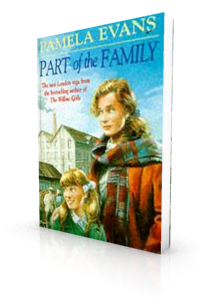 But then a family outing ends in tragedy, leaving her mother dead and her father a broken man, and Jess is forced to give up her career to look after her younger siblings, as well as manage the newsagents her father is no longer capable of running. 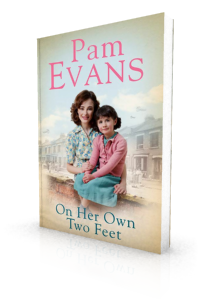 1950s Shepherd's Bush: Ellie Scott's life seems complete when she and husband, Tom, are blessed with a daughter. But their world tumbles around them when a car accident leaves Tom brain damaged. 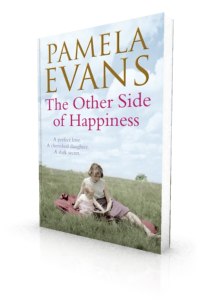 With her husband institutionalised, Ellie slowly learns to live without him. 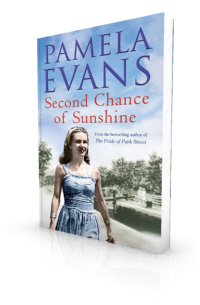 But when she falls in love with the notorious Ray Brent, who has a conviction for alleged murder, her life is thrown into chaos once more. Only when the shocking truth of the real murderer becomes known can Ellie leave her pain behind her and find happiness once more. 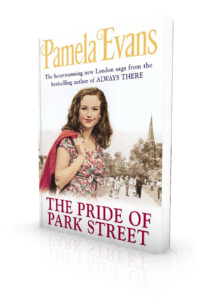 When Gill and Arnie marry in the summer of 1957, rumours fly round the community of Maisie Road, Fulham. But the couple are too in love to care, and when their son is born their happiness seems complete. Then Arnie becomes a professional footballer. But fame comes at a price, and a terrible accident ends his sporting career. Jane and Mick have worked hard for their home and children. 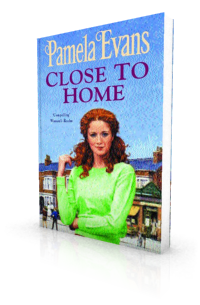 Their wonderful lifestyle comes to a dramatic end when, the husband's business runs into trouble and he disappears. 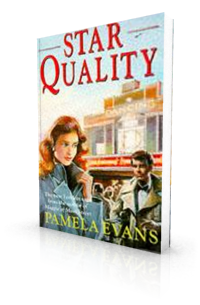 Faced with poverty and homelessness, Jane discovers she has unexpected strengths and is capable of being more than a housewife. 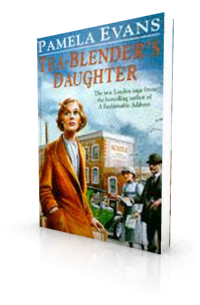 Henry Slafer is the owner of a successful tea-trading company, and his family never want for anything. But he is a cold man, with little time for his children, Dolly and Ken. 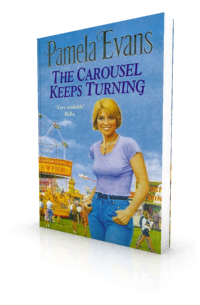 Dolly works for the company and is set to marry her father's deputy, Frank Mitchell. But during the General Strike, Dolly is rescued from a dangerous riot by factory hand Bill Drake, and the pair soon fall in love. But Henry Slafer is displeased by the match, and does everything in his power to destroy their relationship. 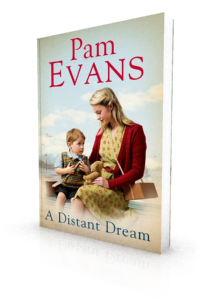 Confused and alone, Dolly agrees to marry Frank and Bill, heartbroken, takes a job elsewhere. Will Dolly and Bill ever see each other again? And can Bill forgive her for turning her back on him? 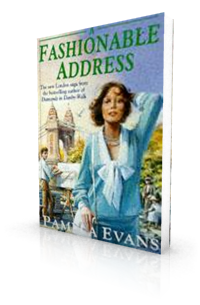 Young Tess Trent works at Emerson's department store in London's West End, its affluence a far remove from her own ordinary, respectable home in Briar Park in Hammersmith. But unlike her parents, Tess does not believe the fine and beautiful things she sells each day will be beyond her reach for ever. The Brightwells live in Moss Street in a shabby area of London's Shepherd's Bush. 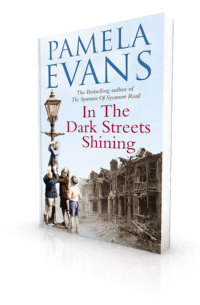 Maggie Brightwell's father was killed in the Blitz by a bomb that also injured her brother Tom. Yet Maggie is a lively, warm-hearted girl. She works as a typist in central London and becomes good friends with Chloe Anderson, the spoilt daughter of her rich boss. 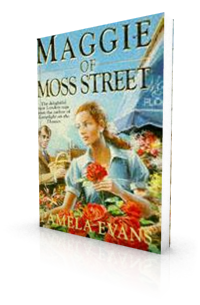 When her boss begins to take a more than paternal interest in Maggie, she is horrified and quickly changes jobs, becoming an assistant in a run-down flower shop in Moss Street. 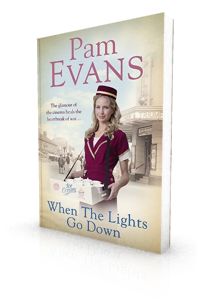 She soon falls for the happy-go-lucky owner Jack Radford and they marry. But their happiness is threatened by a developing relationship between Maggie and her best friend Chloe's new charismatic husband. 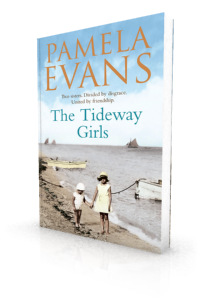 Maggie is determined not to hurt those closest to her and provide a better life for her family, but can she resist temptation?